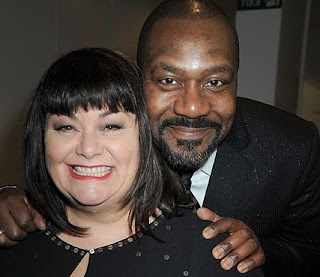 Lenny Henry and Dawn French are two well known actors and comedians in the UK. They have recently announced that their 25 year marriage is over - and it could all be because of a coincidence. Ten years ago it was all over the media that Henry had an affair with a blonde. This the tabloids, and even the more serious newspapers, say is the reason for their marriage breaking up now. Of course a blonde and an hotel room conjures up a certain picture in our minds. Perhaps though things aren't exactly what they seem. The blonde is actually Merri Cheyne, an Australian, and she is adamant that she has never even kissed Henry, let alone consummated their acquaintance. Merri met Henry when he was touring Australia and by chance they got chatting in a bar in Melbourne. She didn't, at the time, know who he was. He moved on with his tour and returned to the UK and the whole meeting was forgotten. Several months later Merri moved to England. As she puts it, "... I moved to London and bumped into him in the street. It was a coincidence ..." It turned out that she was working near Henry's London office. They saw each other occasionally and he invited her to go to York to see his show, as he was on tour. Yes, she went to his hotel room in York but it's not as the media interprets it. "He had a suite and we sat in the living room. There were two doors off it, one for the bathroom and I assume the other was the bedroom." She describes his interest as strictly 'paternal', motivated by a desire to help a young woman he met in Melbourne. It's been hard for Merri as every time the Henry-French marriage is mentioned in the press so is she. She can never leave that behind, and all because of the coincidence of bumping into Henry completely by chance / destiny. Merry Cheyne is now married to a property developer in an affluent suburb of Melbourne. They have three children. And if she met up with Henry again? "If I saw him now, I wouldn't know whether to throw up or faint. It is such bad memories ... and it won't go away. Whenever their names are mentioned so is mine. I've had that embarrassment for eleven years." Sometimes fate throws people together, maybe for a reason. But as we are often told: Judge not, and ye shall not be judged. Good one! And a great example of how bizarre synchronicity can be.